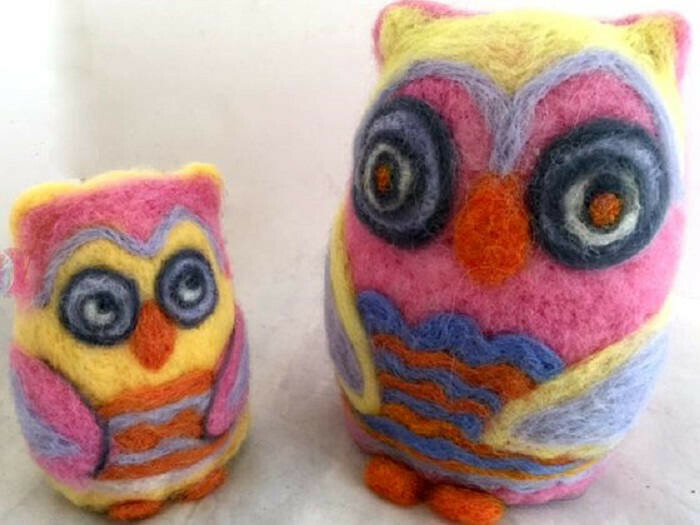 Owl Mother and Baby - colourful needle felted owl pair. Mother owl keeps a close eye on her `curious' little owlet. 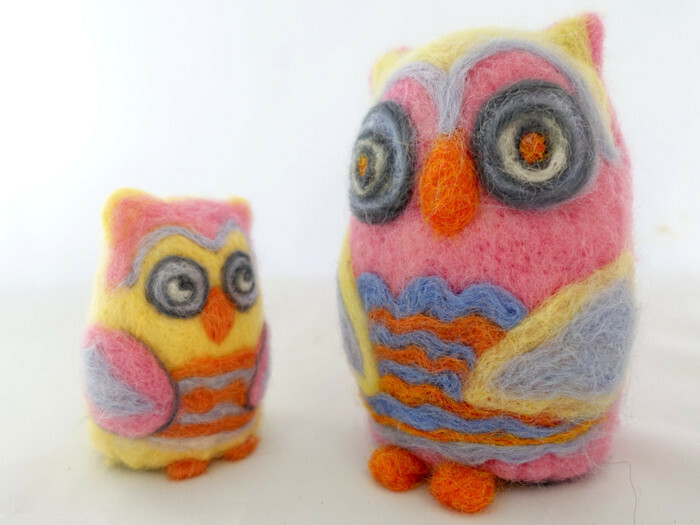 This cute little pair would be lovely in a centrepiece setting or as a fun home décor addition.. 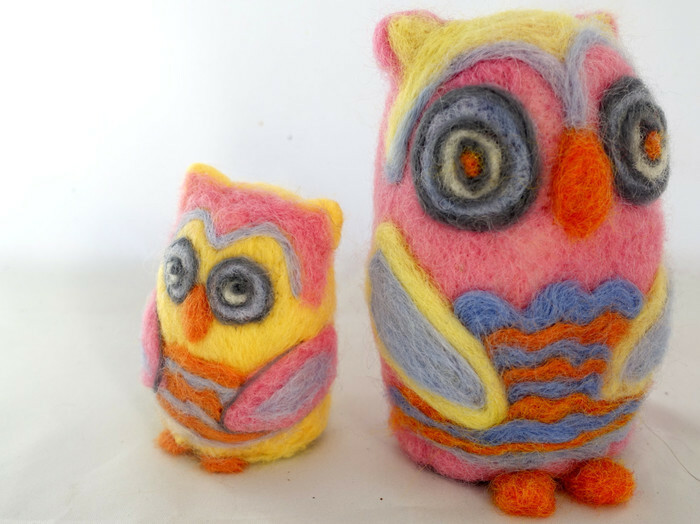 The pink and yellow owl mother is 14 cm (5.5in) tall. 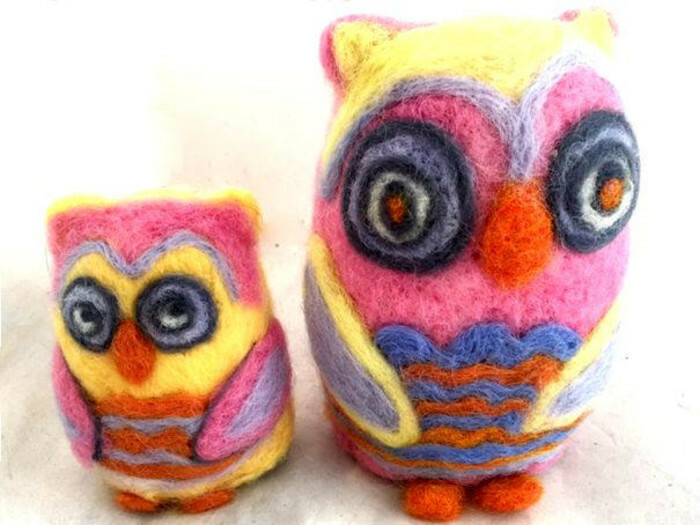 Owlet is 9 cm (3.5 in). 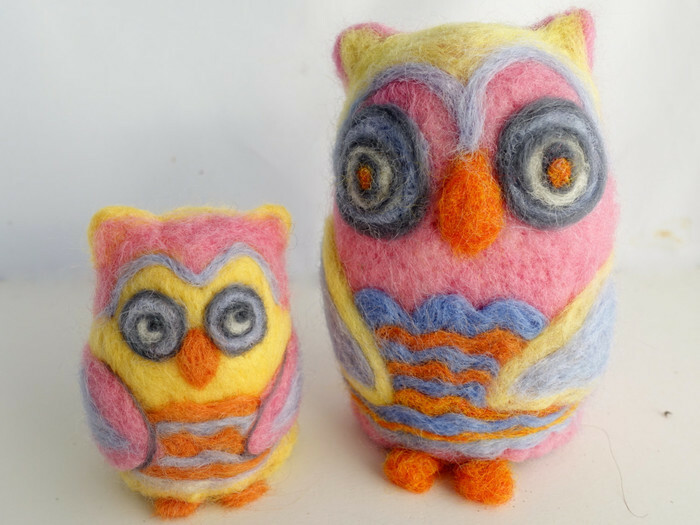 Both owls are made using a dry needle felting technique. The materials used are pink, yellow and orange mohair wool roving. 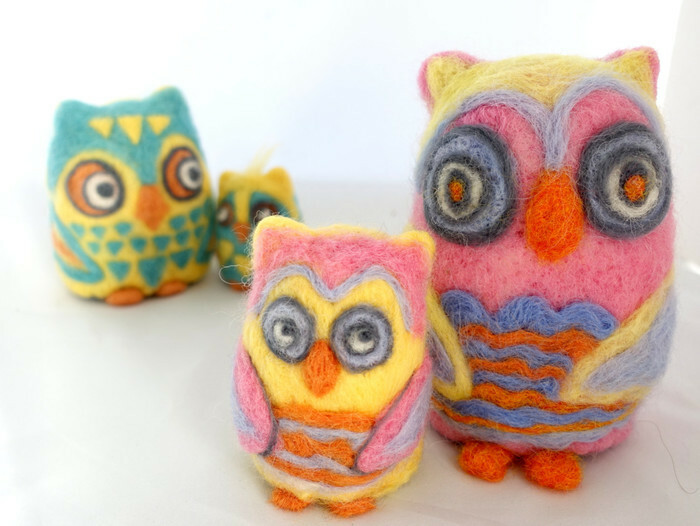 The core for the needle felt animal is wool yarn and natural wool tops. Please note: While the art doll is sturdily made - this is not a toy and should not be used by young children. Thank you for visiting and please come by again. Enquiries most welcome.